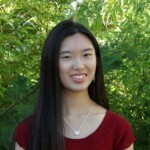 My friends and I like to good-naturedly lament that when we say we’re Computer Science students, the response is often inevitably, “Oh, great! Now I know who to go to when I need to fix my computer!” I can see why we get this response. The majority of people are users, not creators, of technology – and any time that technology needs troubleshooting, users turn to the “IT guy” or the “IT department” and this is probably the first experience that they associate with the words “Computer Science” (availability heuristic, anyone?). The difference is whether or not you realize that some of those rules and their uses are not set in stone – that you have the potential to make new rules, or use logic in a new way to come up with a friendlier user interface, a more efficient system, or a video game world where portal guns are definitely a thing and definitely under the category of “some pretty neat things”. 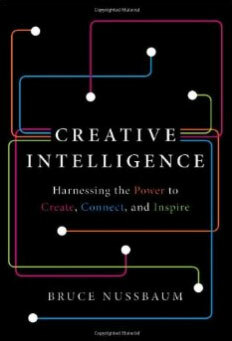 In the book Creative Intelligence, author Bruce Nussbaum explores our preconceived notions of what it means to be creative, how we can deliberately foster creativity and why creativity is a key skill which Nussbaum argues is essential to the development of the economy. Although Nussbaum writes about how creativity applies to a number of fields, many of his examples are technology-related. How did some of Apple’s earliest computer designs end up being inspired and solved by visiting a jelly bean factory? How has the recent surge in social media affected the way we engage with content, consuming versus creating it? What did a Portland, Oregon company do to help Lenovo create tech products that would appeal to its Chinese consumers and compete against foreign, better-known brands? How did ideas originally applied to create robots that could search for victims of disasters eventually lead to the development of the Roomba, the first vacuum-cleaning robot? How do games like Re-Mission, a video game for young cancer patients where the player wages battle against cancer cells, actually physically improve a patient’s health? I would rate this book a 4 out of 5. I loved most of the examples and I find it rewarding and inspiring to explore how other people have found creative success. However, I am a little wary of believing that there is a set formula for creativity given its very nature. Additionally, calling creativity a type of intelligence (Nussbaum also calls it “CQ”) still grates on the part of me that learned in Psychology class that there is no empirical evidence for any types of multiple intelligences. Granted, Nussbaum wrote this book mostly for a Business audience and not a Psychology one. Overall though, this is the kind of springboard book that introduced me to new authors, ideas and companies that I would love to learn more about. How do you use creativity in your work? What does creativity mean to you? Leave a comment below! This article is the first of a series called TechReads, my new ongoing series of technology-related book reviews. If you would like to suggest a book for a future TechReads article, please leave a comment below – and if you’ve read Creative Intelligence, I’d love to hear what you think!